Buy online our clothing and fashion fabric Geom Decoupè Effetto Jeans —-02. Jacquard fabric mixed cotton and silk with geometric design; the pink details enliven the base of blue denim, revisiting the effect of jeans. Suitable for dress, jacket, duster. 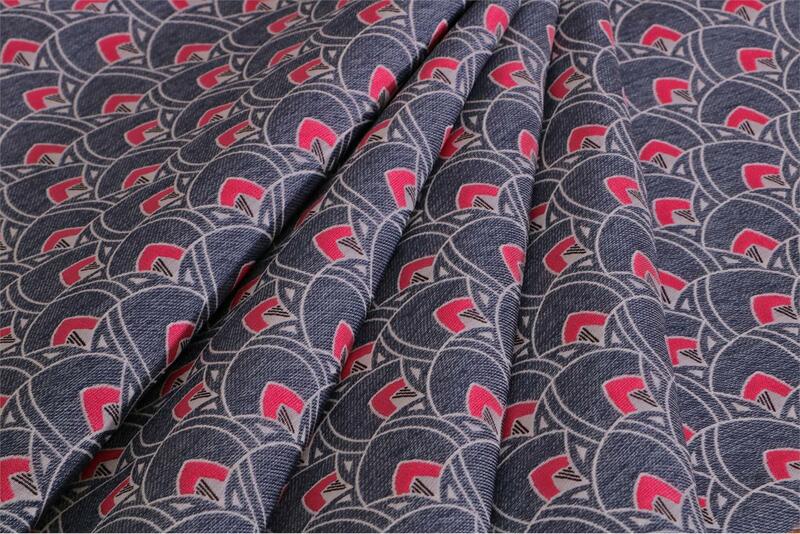 Blue, Pink Mixed Geometric Jacquard fabric for Dress, Jacket, Light Coat.